With the release of my debut collection of fiction I’ve been talking about the short story a lot and it’s got me thinking. The recent announcement of this year’s Queensland Premier’s Awards proves Cormick’s point that short story collections are regaining some favour. The shortlist includes a more diverse range of publishers: Patrick Holland for The Source of the Sound (Salt Publishing), Amanda Lohrey for Reading Madame Bovary (Black Inc.), Wayne Macauley for Other Stories (Black Pepper) and Emmett Stinson for Known Unknowns (Affirm Press). But as Cormick says ‘there is still a long way to go’. Note, for instance, that these four publishers are all small independents who are willing to take risks to publish books they are passionate about. Martin Hughes at Affirm Press knows all about risk and passion. When he announced his Long Story Shorts series, six collections of short fiction by new writers, everyone from the commercial side of things told him he was ‘absolutely bonkers’. Of course the initiative was highly valued by new writers because it is so difficult to get a collection published before having a number of runs on the board. As Hughes says, ‘publishers are not interested in short story collections, unless you’re Nam Le or already a celebrated novelist and they just want to repackage your earlier work.’ Little wonder then that they were flooded with 450 manuscripts. Fortunately for me my manuscript, Two Steps Forward, was selected as the series’ swan song and has just hit shelves. And fortunately for Affirm the series has garnered critical acclaim. Among other accolades, Long Story Shorts author Gretchen Shirm was named Sydney Morning Herald Best Young Novelist of the Year and Emmett Stinson is up for this year’s Steele Rudd Award. The illustrator and designer of the series, Dean Gorrisen, also picked up Silver at the Illustrators Australia Awards 2011 for the first three covers in the series. Halligan goes further: ‘A lot of people say they love reading short stories, but don’t actually do much about it – don’t subscribe to magazines, etc. Years ago Elizabeth Webby [former editor of Southerly] said if everybody who tried to get published in Southerly took out a subscription the magazine would have a large and viable circulation. There are few outlets and those that exist are disappearing fast, for example Heat.’ And just days ago Island magazine announced that after 32 years the Tasmanian Government has withdraw its funding and the publication’s future is uncertain. So if you love the short form why not go out today and buy a collection or subscribe to a literary magazine or check out an online journal like Verity La. 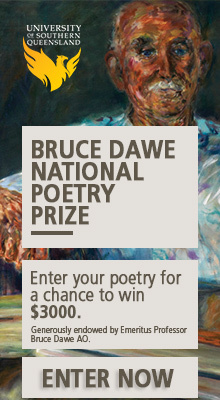 As Cate Kennedy says, ‘the short story is alive, part of our collective national voice, and a form to be treasured’. Viva la short story! Irma Gold is an award-winning writer and editor. Her short fiction has been widely published in Australian journals and her debut collection of short fiction, Two Steps Forward, was released in September 2011 (Affirm Press). She is also the author of two children’s books and is currently working on her first novel. You can follow her on Facebook. Wonderful! And yes, Spineless Wonders is a welcome new voice for short fiction. I have subscribed to more literary journals than I can afford for more years than I care to remember, including Heat and Southerly, among many others, and certainly more than I submit to. Best not to assume writers selfish rather than impoverished. Perhaps its up to the journals to attract a wider audience. Publication is not a right, but neither is readership. Some good points, Susan. I agree readership is not a right, and certainly writers are an impoverished bunch. However, I have been surprised by the number of writers (particularly new writers, it seems) who want to get published in literary journals but don’t subscribe to any of them or, worse, even read them. 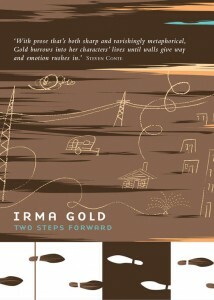 Irma, I regret I have not yet read your short story collection, Two Steps Forward’ though have just read an excerpt from your short story ‘Tangerine’ posted to the Varuna Writer-a-day blog http://varunathewritershouse.wordpress.com/2011/10/05/writer-a-day-irma-gold-reading-from-tangerine/and wanted to say how moved I was by your beautiful writing. Thanks Trish! Lovely to hear. I love to read and don’t discriminate between novels and short stories. But sometimes in these time-poor days a ‘tapas’ of short stories serves well to satisfy. The works of O’Henry, Henry Lawson, Issac Singer..OK got to stop otherwise I’ll ramble on with the names. But you do make an interesting point about getting published. In Brisbane the city council’s initiative of publish the ‘One Brisbane Many Stories’ has been a success. And sometimes I find the online world can yield hidden gems on the many blogs that float on the world wide web.